Was a Great Trip buddy. Friday evening I caught over 20 bass in Big bay,spinnerbaits and topwater.nothing big.15" the biggest.saturday morning the lake was rough.3' rollers by the 81 bridge.caugbt a lot of pickerel.lots over20". Saturday evening big bay was on fire 2 of us caught over 40 bass all on topwater. Lots of bigger fish.i caught thr pig of the nite.4.7lb.lots of 18 to 20" bass,saturday nite.ill text you pics. I sent pics to Cowdawg and spider. That's great you had a good trip. Can't wait to get out on the ice with you Brother. Chez stunk up Big Bay good.. my son and I fished there that Sunday. A body of water we know well .. we only pulled one or two bass that day in that area. Good work Uncle Chez!!!  Glad you had a good time! Hi Chez and Kingperch .... I noticed your posts about Big Bay at Oneida. 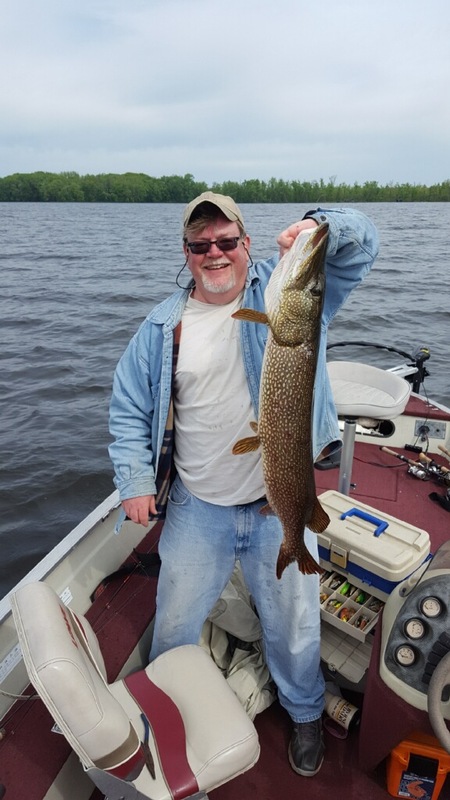 I only get up there a couple times a year, but 2 summers ago I got the biggest pike of my life by complete accident in Big Bay on a small spinnerbait and lightweight casting rod & no leader ! Alot of things went right for me to land that fish, especially considering the thick weeds there (he was released to fight another day). Anyways, I was hoping you guys might be able to help me ... last summer, I took my wife up & the really nice state park public launch (I think it's called Oneida Shores) was closed ... it looked like it was closed permanently. We searched & found some private marina way farther up the lake & were able to launch, but it wasn't ideal as I only have a 16' boat & prefer to launch closer to the end of the lake. Can either of you guys recommend a boat launch near the I81 end of the lake now that the state park is closed ? I was just scrolling around and saw this. I am so sorry you had to go through this nightmare ruttnutt, and I am happy you are ok. I am very wary of them timber rattler critters, and see them quite often in my yard here in Lordville, and along the Delaware . You are correct about how they blend in so well. Yellow phase, black phase, yellow/black and I even took pictures of a chocolate brown one 2 years ago, they all blend in to their habitat extremely well. If any of you guy's fish the Delaware, or tribs, in the area from Hancock to Callicoon (NY side), or Starlight to Damascus (Pa. side) , please be aware that there are a lot of timber rattlers in this stretch. Last year (2018) I only saw and took pictures of 4 rattlers ...but summer of 2017 I took pictures of 17 different rattlesnakes ! some of those 17 I saw over and over during the summer, probably 30 sightings.... 5 in one bunch sunning themselves. They are generally pretty docile, and do not want anything to do with humans...but some can be more aggressive than others,.... and some of them "buzz" and some don't. Some of you might have read in The New York Outdoor News last summer about the NY DEC had to remove a timber rattler from my neighbors car last summer. He opened the hood of his car to check the oil , and there was a large rattlesnake coiled up and started buzzing on top of his engine ! Thankfully that snake warned him. I am sorry that I did not see this sooner to tell you that I am very, very happy that you are doing ok ! I'm fishing my way through life . Imbit, I was off icefishing, sorry for late response.  Oneida Shores is always open from 5:00 am till dark. Those are the times it opens and closes. Thanks so much Kingperch for the intel on Oneida ! Glad to hear I must have just hit Oneida Shores on a bad day when it wasn't open. Very much looking forward to getting back up to Oneida this june !